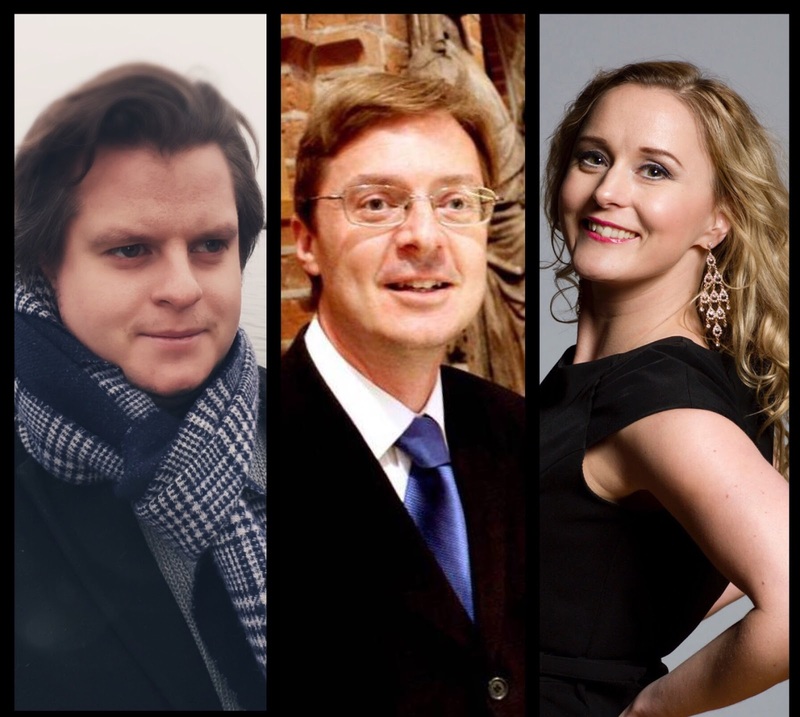 Soprano Karin Lundin, bass-baritone Robert Arnborg and pianist Martin Edin will perform beloved songs and duets in a lovely mixed program. 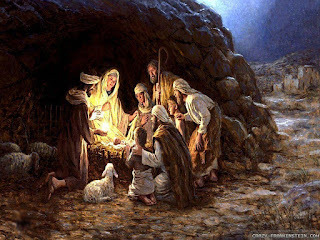 Music by, amongst others, Edward Grieg, Hugo Alfvén, Giuseppe Verdi and Irving Gordon. To book a ticket, call: +46 8 662 00 35. Most Welcome! 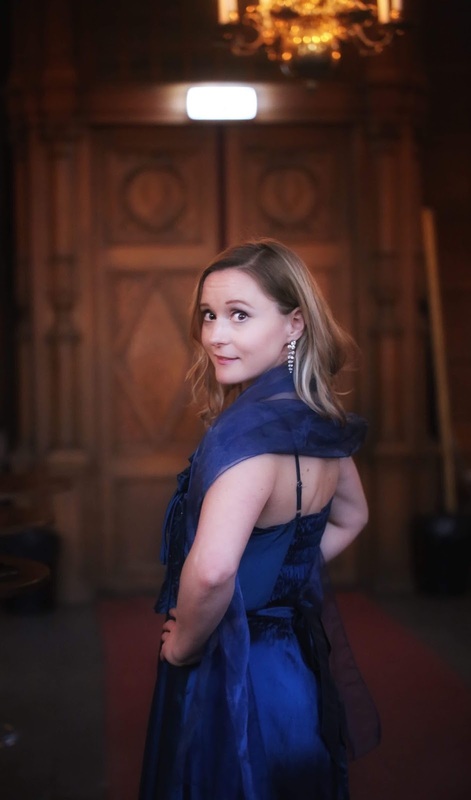 Soprano Karin Lundin and bass Michael Schmidberger will perform beautiful songs of spring, classical hits and duets together with pianist Mathias Kjellgren. Music by, amongst others Robert Schumann, August Söderman and Gustav Mahler. To book a ticket, call: + 46 8 662 00 35. Most Welcome! 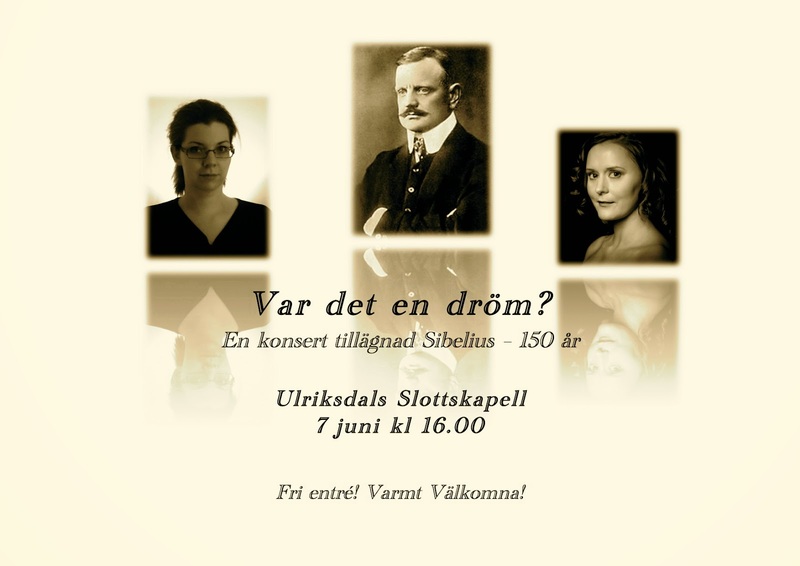 Soprano Karin Lundin and organist Mathias Kjellgren will perform a summer concert in Strömstad's church. More information will be published later on. Admission free! Most Welcome! 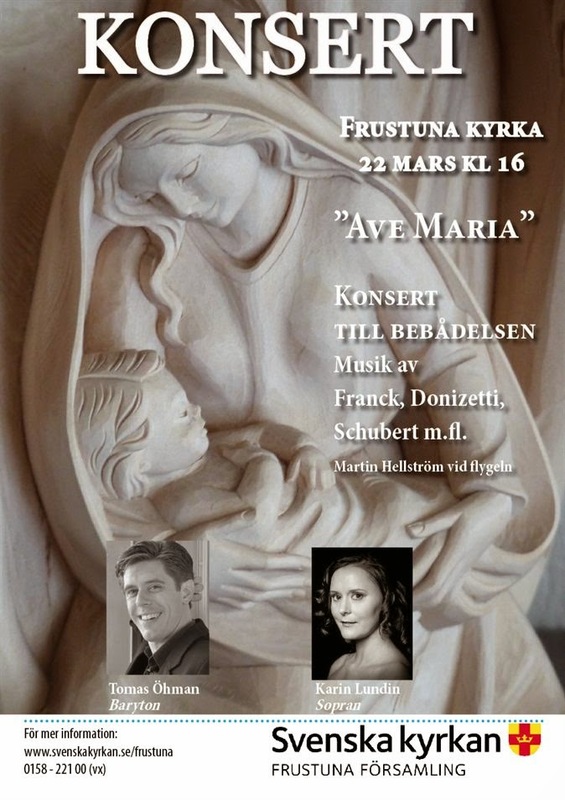 Soprano Karin Lundin and organist Mathias Kjellgren will perform beautiful music by amongst others, Sjöberg, Alfvén and Grieg. Admission free! Most Welcome! Photo of Karin by Pär Fridberg. Photo of Martin by Daniel Martens. Soprano Karin Lundin and pianist Martin Edin will perform beloved songs in a beautiful summer concert. More information will be published later on. Admission Free! Most Welcome! Soprano Karin Lundin and pianist Martin Edin will perform beloved songs by, amongst others, Alfvén, Grieg, Sjöberg and Puccini. Admission Free! Most Welcome! 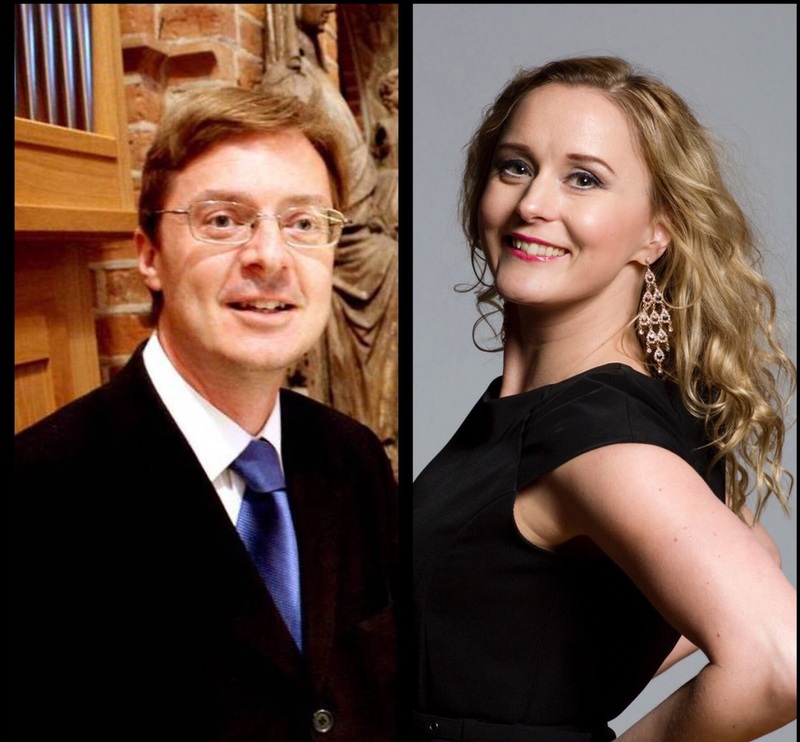 Soprano Karin Lundin and organist Mathias Kjellgren will perform a summer concert in St Matteus Church. More information will be published later on. Admission free! Most Welcome! Karin Lundin and organist/pianist Mathias Kjellgren will perform beautiful music by, amongst others, Rangström, Alfvén, Dvorák, Fauré and Debussy. Free admission. Most Welcome! The mysterious moon is glowing in the night and leads us on a solitary path through the world of saga. Since the beginning of time, the moon has captured our imagination and inspired poets, composers and artists with her enchanting beam. She illuminates love’s anguish, and the contrasts of life and death. She is a light in the darkness, at the same time as her nightly solitude and ghostly beam both scare and lure us. She is a shadow of the sun and a pale reflection of the day. She is danger, serenity, comfort and hope. She is love and frustration in one. 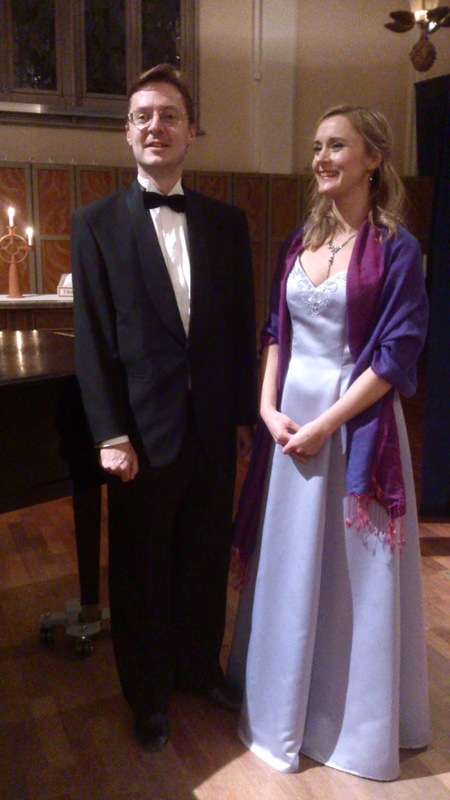 Karin performed songs together with organist Mathias Kjellgren. Music by, amongst others, Grieg, Alfvén and Sjöberg. 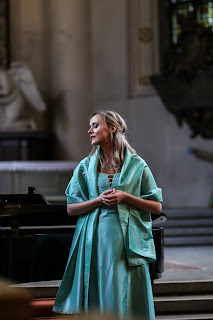 Soprano Karin Lundin and baritone Magnus Eriksson Emke and pianist Mathias Kjellgren performed music by Grieg, Puccini, Loewe and Lloyd Webber, and more. Karin Lundin and pianist Martin Edin performed at the Two Year Jubileum Celebration of Aleris Riksten Plaza. Music by, amongst others, Sjöberg, Grieg and Nordqvist. Karin performed songs together with organist Mathias Kjellgren. Music by, amongst others, Händel, Poulenc and Mozart. 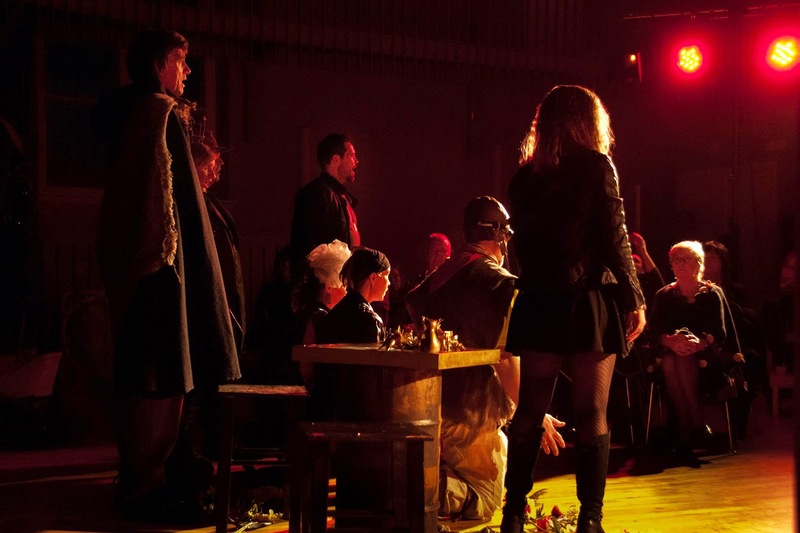 Presentation and performance of the course The music-dramatic expression of the voice at the studio Hugoteatern at Operahögskolan in Stockholm. 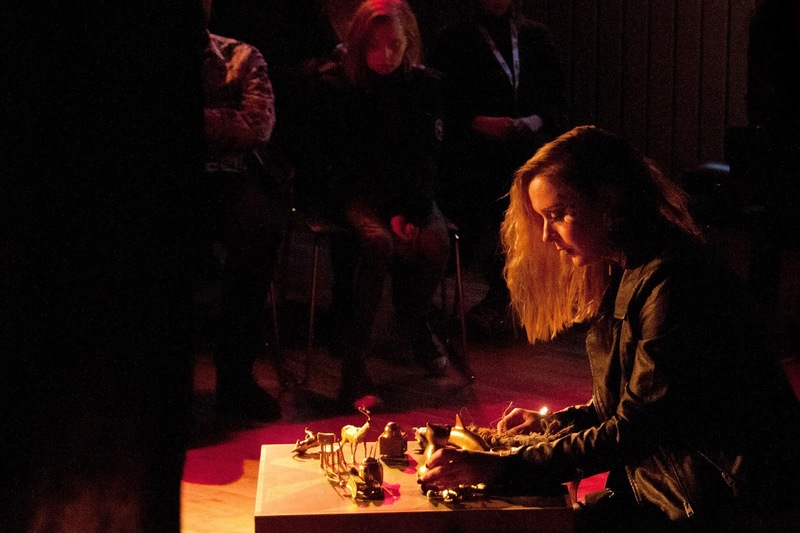 Karin will present her project and perform Sieglinde's arias in the first act of Die Walküre together with pianist Love Derwinger and co-student Maria Kjelsson. Karin's co-students Maria Kjelsson and Maria Carlström will also present and perform their projects. 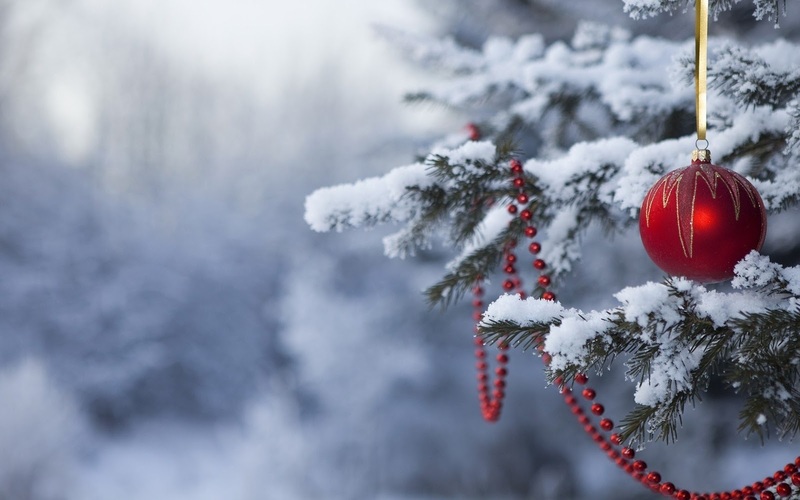 Karin Lundin, bass-baritone Robert Arnborg and pianist Martin Edin performed Christmas songs. Karin performed a solo song together with organist Margareta Stevensson and the choir Motettkören at the All Saints' Day Mass. Music by Grieg. Soprano Karin Lundin performed solo songs at the All Saints' Day Mass together with organist Richard Pleijel. Soprano Karin Lundin performed songs at the Thanksgiving Mass together with organist Margareta Stevensson. Priest was Lars Åstrand. 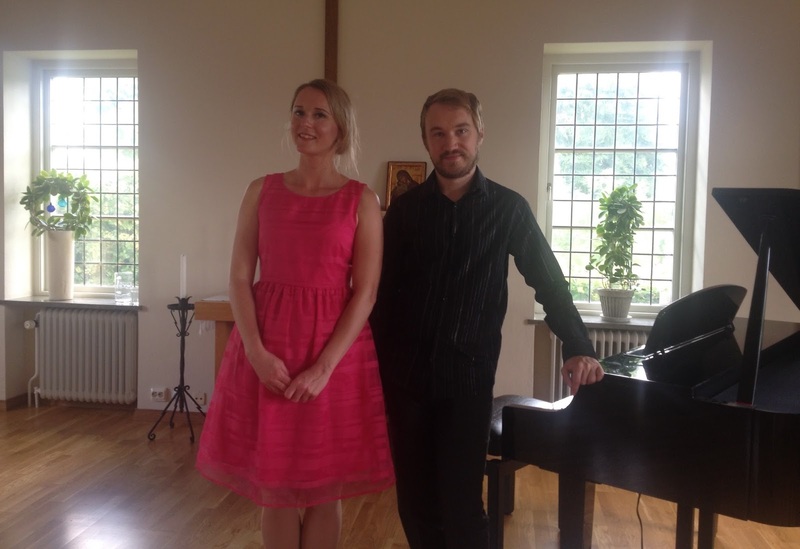 Karin Lundin and Mathias Kjellgren performed beautiful songs for PRO-members in Tyresö. Soprano Karin Lundin, bass Michael Schmidberger and pianist Mathias Kjellgren performed opera duets and solos, by amongst others, Gershwin and Mozart. Karin Lundin & pianist Mathias Kjellgren performed famous and beloved songs and arias at a lunch concert. Soprano Karin Lundin and organist Mathias Kjellgren performed songs by, amongst others, Alfvén, Vavilov, Wagner and Poulenc. Soprano Karin Lundin and organist Mathias Kjellgren reflected on the mysterious world of music and how it moves and affect us in a beautiful program with music by, amongst others, Alfvén, Vavilov, Wagner and Poulenc. Soprano Karin Lundin and organist Mathias Kjellgren performed beautiful music. Karin Lundin and pianist Oskar Hansson performed music by, amongst others, Alfvén, Sjöberg, Dvorák and Puccini. Karin Lundin and pianist Mathias Kjellgren performed songs by, amongst others, Sjöberg, Sjögren and Wagner. Karin Lundin, bass-baritone Robert Arnborg and pianist Martin Edin performed songs and duets by, amongst others, Sjöberg, Nordqvist and Gershwin. Picture after the concert. Photographed by Carl Walin. Karin Lundin performed songs and arias together with organist Michael Waldenby. Music by, amongst others, Peterson-Berger, Sibelius, Grieg and Wagner. The sopranos Karin Lundin and Susanna Reuter and harpist Miriam Klein Strandberg performed a concert celebration of Swedish stars of the past, for example Birgit Nilsson, Jussi Björling and Monica Zetterlund. Karin Lundin and pianist Martin Edin performed at the One Year Jubileum Celebration of Aleris Riksten Plaza. Music by, amongst others, Puccini, Peterson-Berger and Alfvén. The sopranos Karin Lundin and Susanna Reuter and harpist Miriam Klein Strandberg performed songs in a celebration of Swedish stars of the past, for example Birgit Nilsson, Jussi Björling and Monica Zetterlund. Karin Lundin performed songs by Caccini, Bach, Mozart and Fauré together with organist Maria Wackt at the Sunday Service. Karin performed solo songs at the New Year's Day Mass together with organist Mathias Kjellgren. Songs by, amongst others, Händel and Fauré. Happy New year! 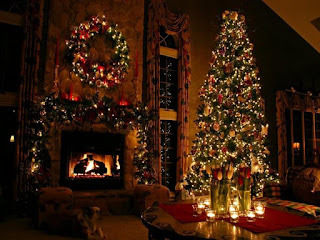 Karin performed Christmas songs at the Christmas Eve Mass together with Mathias Kjellgren. Karin performed Christmas songs together with organist Margareta Stevenson in the beautiful castle Wenngarns slott on Christmas Eve. Karin performed solo songs at the Christmas Day morning together with organist Henry Turu. Karin performed solo songs together with the organist Jesper Tyleskog. Karin performed Christmas songs together with organist Kristina Ohlsén Runolf at the Christmas Service. Songs by, amongst others, Sibelius and Händel. The sopranos Karin Lundin & Susanna Reuter performed Christmas and Lucia songs and duets together with harpist Miriam Klein Strandberg. Karin performed solo songs together with an ensemble together with organist Margareta Stevenson. Priest was Maria Eckerdal. 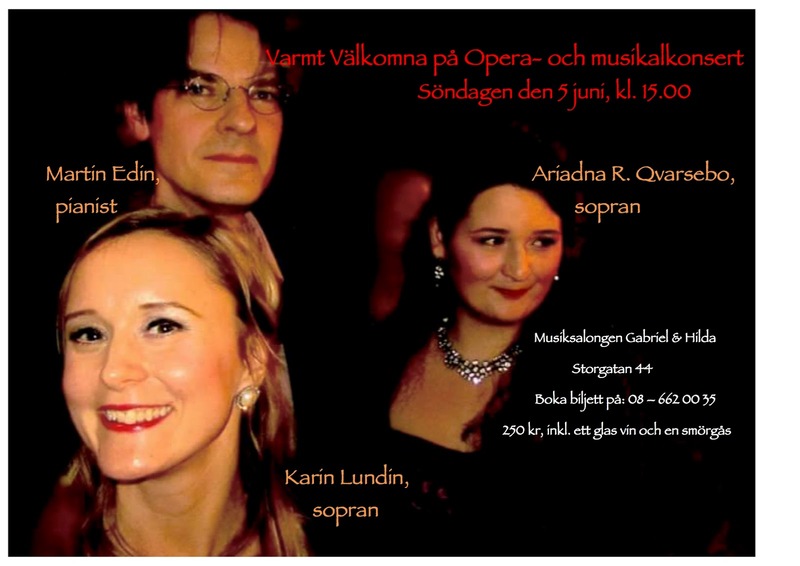 Soprano Karin Lundin and pianist Mathias Kjellgren performed famous and beloved songs and arias. Karin performed songs together with organist Mathias Kjellgren and the choir Motettkören at the All Saints' Day Mass. Music by Brahms and Grieg. 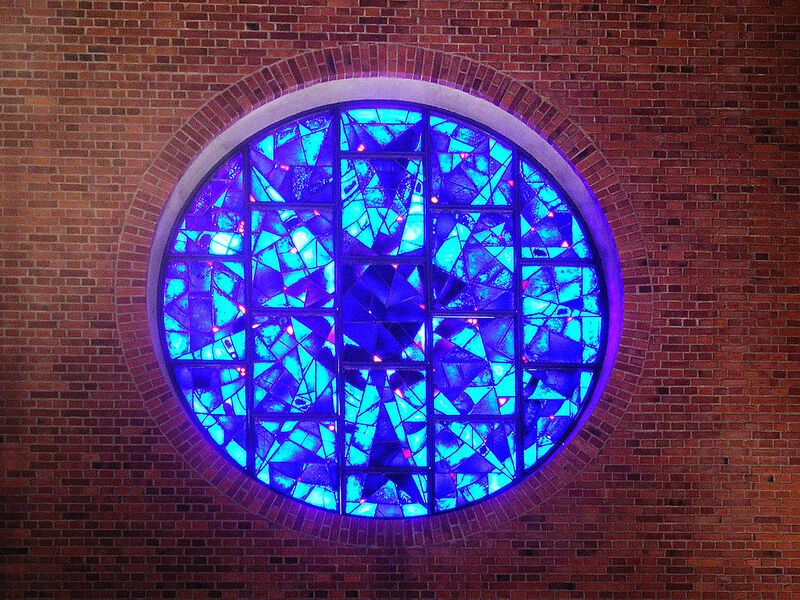 Karin performed together with organist Mathias Kjellgren at the All Saints' Day Mass. 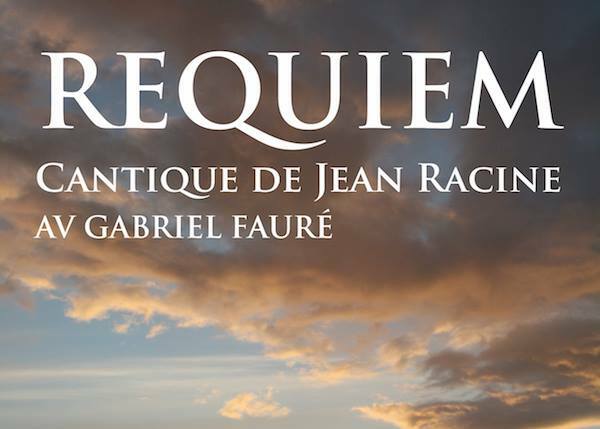 Music by amongst others Fauré and Brahms. The sopranos Karin Lundin & Susanna Reuter performed songs and duets by, amongst others Wagner and R. Strauss together with pianist Mathias Kjellgren. Karin Lundin performed songs about angels together with organist Maria Wackt at the Sunday Service. Music by, amongst others, Verdi, Franck and Saint-Saëns. Soprano Karin Lundin and organist Mathias Kjellgren performed sacred songs by amongst others, Bach, Brahms, Händel, Haydn and Mozart. Karin Lundin and pianist Mathias Kjellgren performed famous and beloved songs and arias in Farstastrandkyrkan. 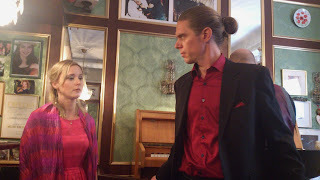 Karin Lundin and pianist Mathias Kjellgren performed famous and beloved songs and arias in Vilunda kyrka. Soprano Karin Lundin and harpist Miriam Klein Strandberg performed music by amongst others, Fauré, Debussy, Rangström and Alfvén in the cozy church Djurgårdskyrkan. 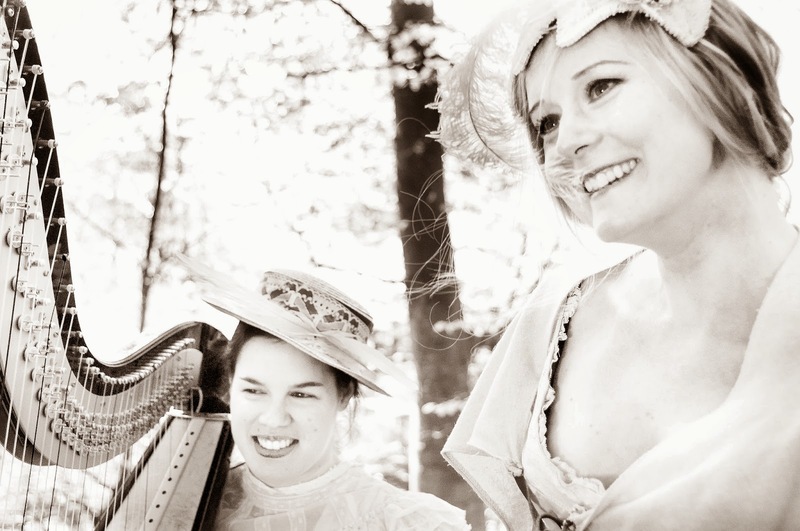 Sopran Karin Lundin och harpist Miriam Klein Strandberg framför ett stämningsfullt konsertprogram med svenska och franska sånger med fokus kring sekelskiftet 1800/1900 och med den gemensamma nämnaren naturlyrik. Vi framför sånger och berättar om tonsättarna, dikterna och musiken och funderar över hur naturen inspirerar och påverkar oss. Musik av bl.a. Alfvén, Rangström, Fauré och Debussy. Karin Lundin and pianist Mathias Kjellgren performed famous and beloved songs and arias in Eds kyrka. 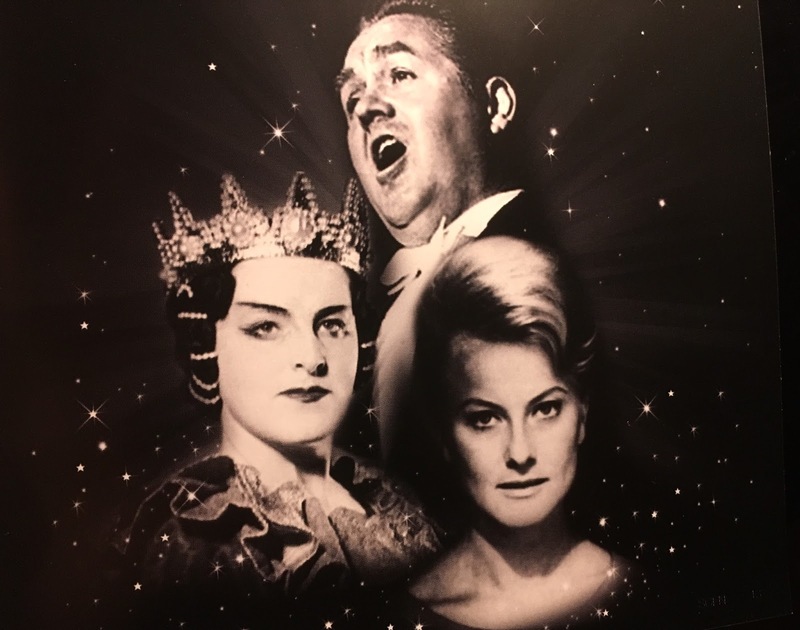 Karin Lundin, bass-baritone Robert Arnborg and pianist Martin Edin performed solo songs, duets and arias on the theme love and with music by, amongst others, Loewe, Puccini and Lloyd Webber. 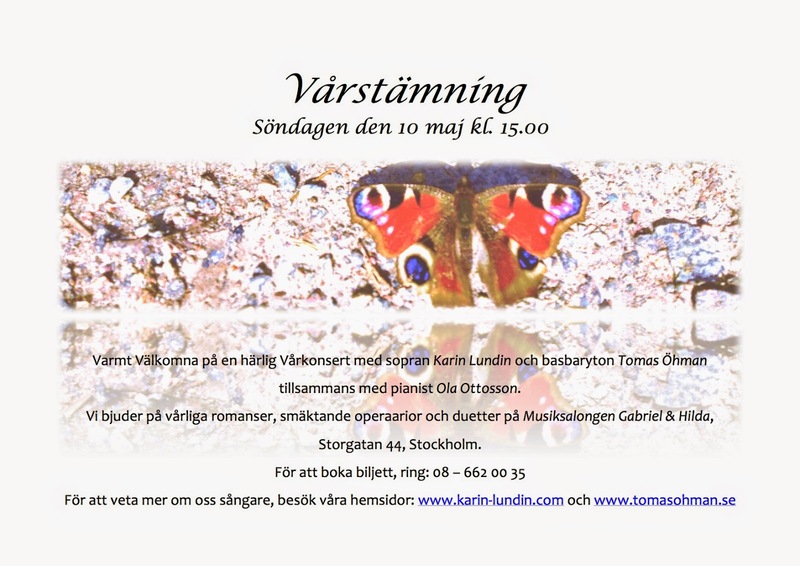 Karin performed solo songs on the theme spring together with organist Kristina Ohlsén Runolf at the Sunday Mass. 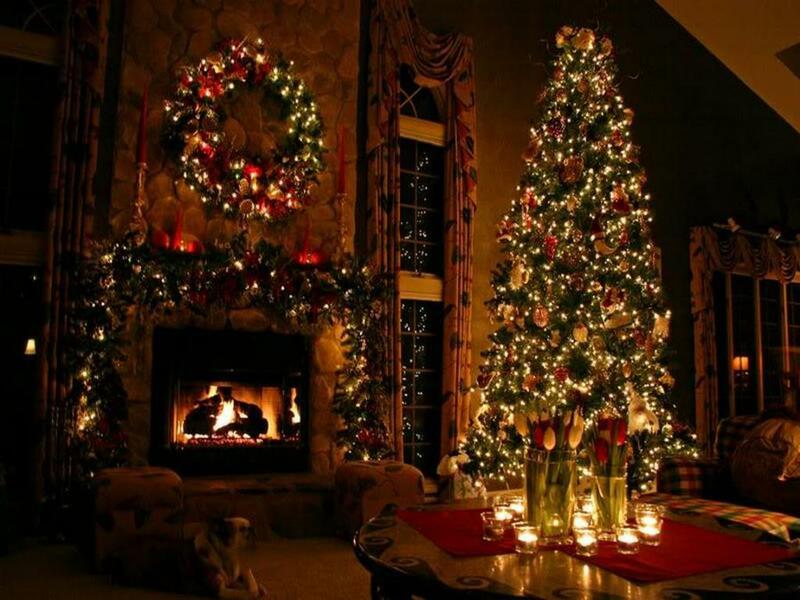 Music by Grieg, Fauré, Nordqvist and Mozart. Karin Lundin performed at the Sunday Mass together with organist Jani Kenttälä. Music by Grieg and Fauré. Karin Lundin and pianist Mathias Kjellgren performed famous and beloved songs and arias in Tyresö Library. 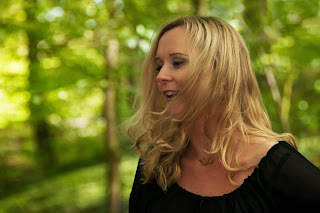 Karin Lundin performed songs together with pianist Mathias Kjellgren. Music by, amongst others Alfvén, Mozart and Händel. Karin Lundin and pianist Mathias Kjellgren performed famous and beloved songs and arias in the foyer in Haninge Kulturhus. Karin Lundin and organist Mathias Kjellgren performed sacred songs by Bach, Brahms, Caccini, Händel and Mozart. Karin Lundin performed songs together with organist Jani Kenttälä at the Epiphany Mass in Vilunda kyrka. Music by Caccini, Händel and Mozart. Karin performed solo songs at the New Years Eve Mass together with organist Mathias Kjellgren. Music by Mozart, Caccini and Händel. 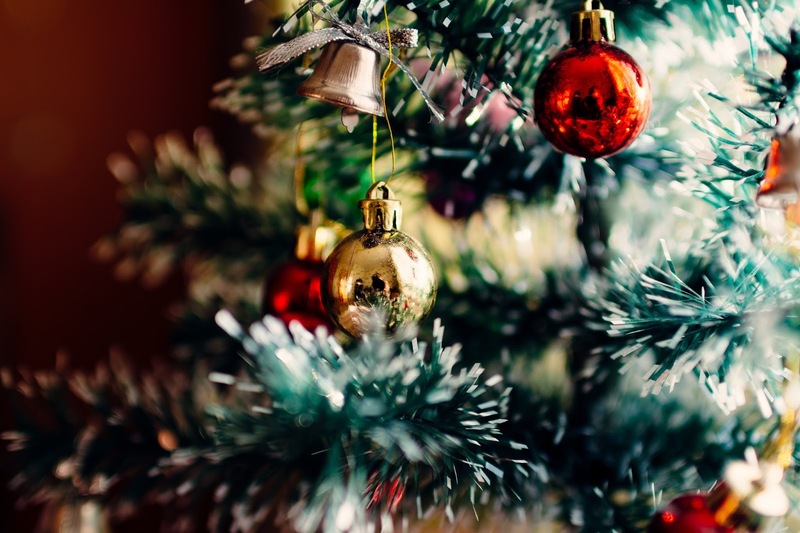 Karin Lundin performed solo songs at the Christmas Mass together with organist Fredrik Malmberg. Priest was Daniel Götschenhjelm. 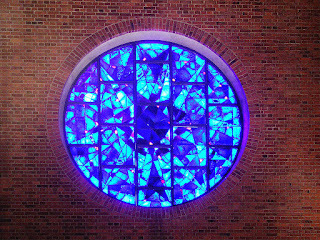 Karin performed solo songs on the theme Advent and Christmas at the Mass together with organist Kristina Ohlsén Runolf. 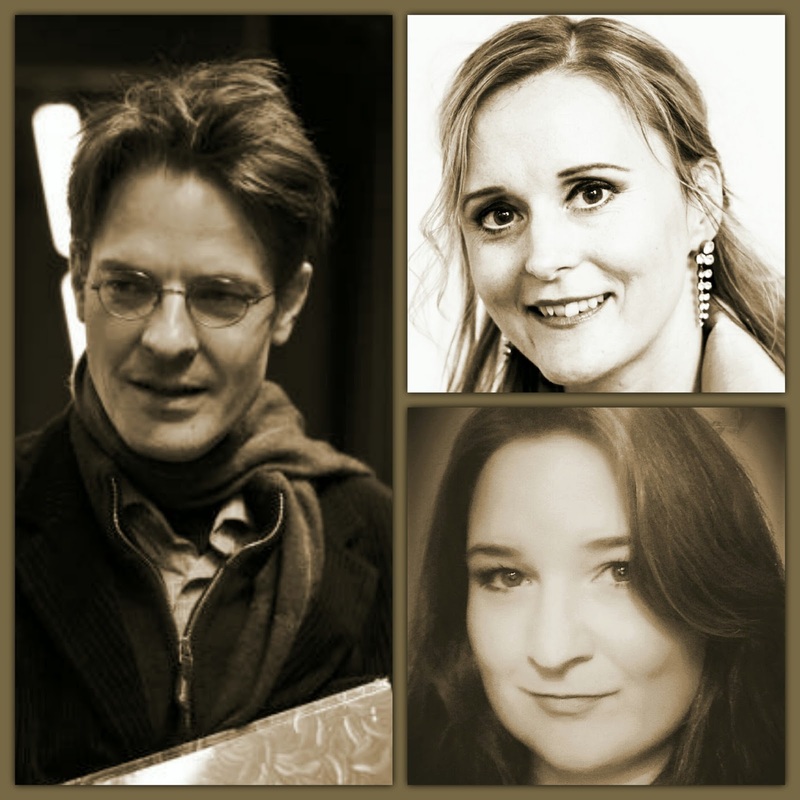 Karin Lundin, bass-baritone Robert Arnborg and pianist Martin Edin performed solo songs, duets and arias on the theme love and with music by, amongst others, loyd Webber, Ellington, Lehár and Mozart. Karin Lundin and Martin Edin performed at an Anniversary Party. Karin Lundin and organist Dan Eiderfors will performed sacred songs on the theme angels. Music by, amongst others, Almqvist, Fauré, Händel, Wagner and Verdi. Karin Lundin and pianist/organist Mathias Kjellgren performed music by, amongst others, Rangström, Dvorák, Fauré and Debussy. To find the church on the map, click here. Karin Lundin performed songs together with organist Jani Kenttälä at the Sunday Mass in Vilunda kyrka. Karin Lundin and pianist/organist Mathias Kjellgren perform sacred music by, amongst others, Händel, Grieg and Fauré. The theme of the concert is the light that keeps shining even in the darkest hour through love and sorrow, sin and forgiveness and the hope that never dies. Most Welcome! Karin Lundin och Mathias Kjellgren framför sånger på tema ljus och mörker, synd och förlåtelse, kärlek och sorg och om hoppet som aldrig dör. Livet är fullt av kontraster och även där det är som mörkast skimrar ljuset. Musik av bl.a. Händel, Fauré och Grieg. Karin Lundin and organist/pianist Mathias Kjellgren performed music by, amongst others, Rangström, Alfvén, Dvorák, Fauré and Debussy. Karin sang solos songs at the Mass, accompanied by organist Olov Risberg. Karin Lundin and organist/pianist Mathias Kjellgren performed music by, amongst others, Rangström, Dvorák, Fauré and Debussy. Karin sang solo songs at the Sunday Service, accompanied by organist Per Jansson. The two sopranos Karin Lundin and Ariadna R. Qvarsebo performed an exciting opera and musical concert together pianist Martin Edin. Music by, amongst others, Mozart, Puccini, Delibes, Offenbach and Schönberg. Photo from inside the church. Karin sang solo songs at the Sunday Mass, accompanied by organist Torgerd Riben. Karin sang solo songs at the Pentecost mass, accompanied by organist Vivianne Pihl. To read about the castle, click here. Photo after the concert, next to the poster. The mysterious moon is glowing in the night and leads us on a solitary path through the world of saga. Since the beginning of time, the moon has captured our imagination and inspired poets, composers and artists with her enchanting beam. She illuminates love’s anguish, and the contrasts of life and death. She is a light in the darkness, at the same time as her nightly solitude and ghostly beam both scare and lure us. She is a shadow of the sun and a pale reflection of the day. She is dangerous, mild, comfort and hope. She is love and frustration in one. Karin sang solo songs, accompanied by organist Arne Johansson. Karin sang solo songs, accompanied by organist Vivianne Pihl. Karin Lundin sang songs at Midnight Mass (Midnattsmässan), accompanied by organist iIngunn Ligaarden. 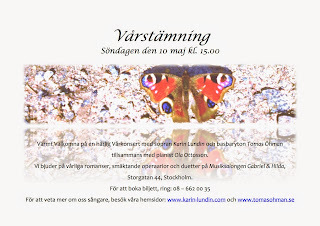 Karin sang solo songs accompanied by Vaxholm Instrumental Ensemble and organist Vivianne Pihl. 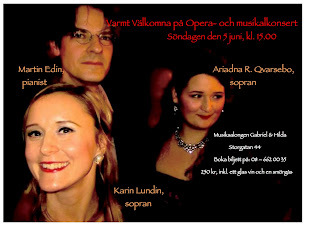 Karin Lundin sang opera and operetta arias and duets together with soprano Ariadna R. Qvarsebo and pianist Martin Edin. Karin Lundin, Martin Edin and Ariadna R. Qvarsebo. Karin was the soprano soloist in Faurés Requiem together with the dramatic world tenor Stig Fogh Andersen and the choir Petrikören, conducted by the organist, pianist and opera singer Ingrid Häggström. Mathias Kjellgren and Karin Lundin. Karin sang at the Benefit Concert for the for the Swedish Church's help to refugees together with pianist/organist Mathias Kjellgren. Music by amongst others Fauré, Dvorák and Verdi. Karin sang sacred songs at All Saints Day Mass together with organist Vivianne Pihl. Karin sang solo songs about compassion, accompanied by organist Vivianne Pihl. Karin Lundin and pianist Fredrik Schützer after the concert in Skivarp. Karin Lundin performed songs and arias as well as led "sing-a-long" together with pianist Fredrik Schützer. 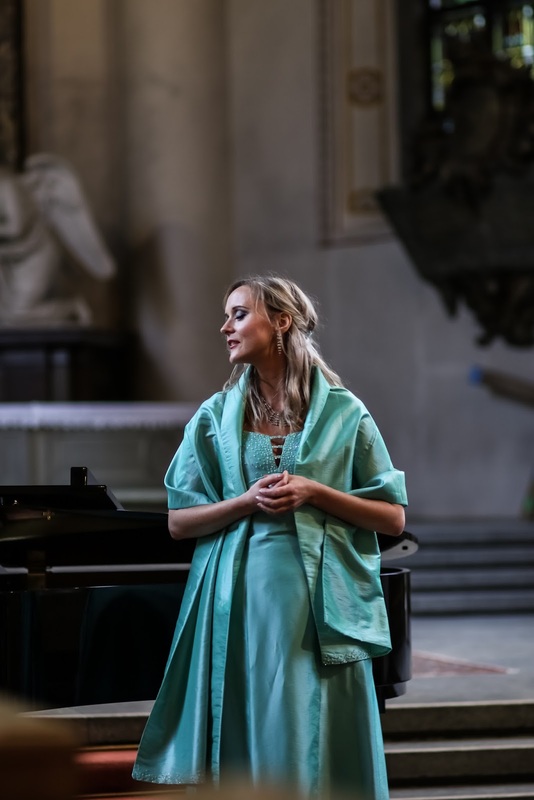 Karin Lundin and pianist Malin Blixt performed a concert consisting of a variety of beautiful art songs by Jean Sibelius due to the celebration of his 150 year anniversary. Karin Lundin and bass-baritone Tomas Öhman performed arias, songs and duets, accompanied by Ola Ottosson. Karin performs Liù, acting towards Tomas Öhman at "Vårstämning"
Karin Lundin and bass-baritone Tomas Öhman performed sacred songs and duets, accompanied by pianist Martin Hellström at the Annunciation to the Blessed Virgin Mary. 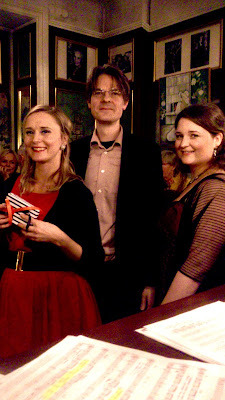 Karin performed songs with lyrics by Johan Ludvig Runeberg, accompanied by pianist Ola Ottosson at a celebration of Runeberg's birthday. Karin performed as a soloist together with the chorus Bergakören, conducted by Gunnel Engström, and pianist Julia Sigova. Karin performed as a soloist together with the chorus Trollbäckens Oriatoriekör on the christmas morning service in Trollbäckens kyrka. Conductor was Susanne Sand. Karin Lundin and baritone Peter Haeggström performed arias, songs and duets, accompanied by pianist Britta Lovén. Karin sung the soprano solo part in Guds Andedräkt - Mässa i irländsk folkton by Liam Lawton, together with the chorus Petrikören, conducted by Ingrid Häggström. Karin sang at the Sunday service. Pianist was Carin Horovitz. Soprano Karin Lundin and harpist Miriam Klein Strandberg performed songs about nature by Swedish and French composers active from the late nineteenth century until the middle of the twentieth century. Music by amongst others Ture Rangström, Hugo Alfvén, Gunnar de Frumerie, Claude Debussy and Gabriel Fauré. Photo from the concert "Naturlyrik - svenskt meter franskt" in Tyresö 2014. 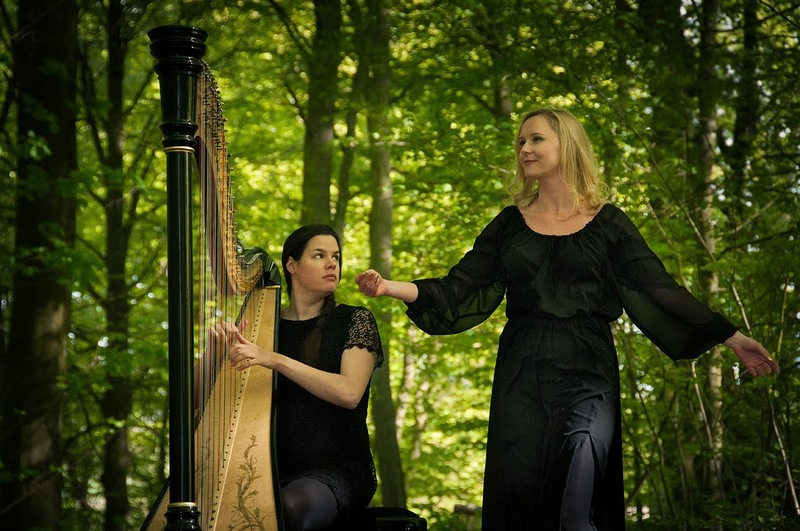 The music duo Lyra: Miriam Klein Strandberg, harpist and Karin Lundin, soprano. Photo: Björn Finnsdotter Minör. Karin Lundin and Miriam Klein Strandberg - Lyra - performed a mixed program of classical music, pop and jazz at Malmö City's Barbeque at Handikappbadet, Ribersborg. To learn more (in Swedish), click here. 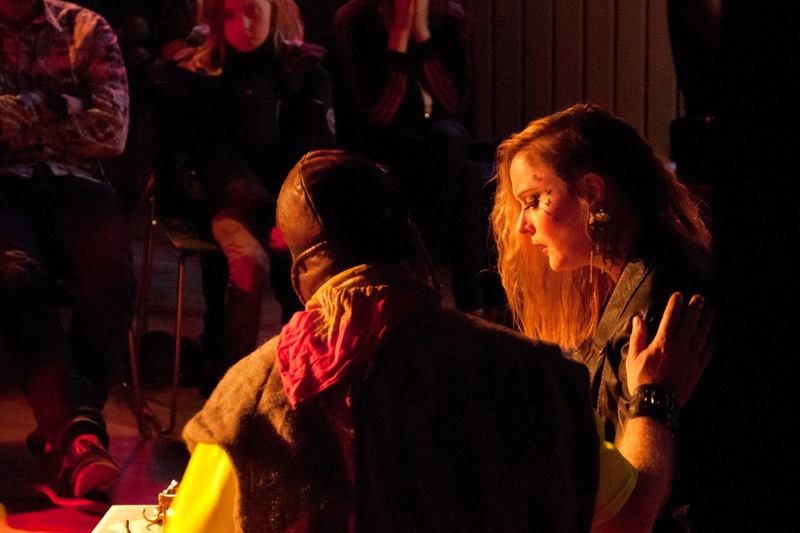 Karin performed the role of Pamina together with Lilla Operan in Lund. Director/writer was Mia Finnsdotter. To learn more about Lilla Operan and the cast, visit: Lilla Operan. Most Welcome! Photo: Björn Finnsdotter Minör. From the performance of The Magic Flute. Photo: Björn Finnsdotter Minör. Karin Lundin as Pamina. Photo: Björn Finnsdotter Minör. 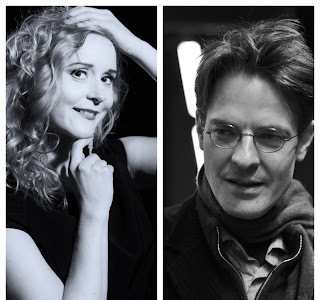 Björn Sundmark as Monostatos together with Karin Lundin as Pamina. Photo: Björn Finnsdotter Minör. From the rehearsal of The Magic Flute. Karin and Miriam (Lyra) performed at "Bröllopsfeber", Sweden's biggest wedding trade fair. For more information, visit: Bröllopsfeber. 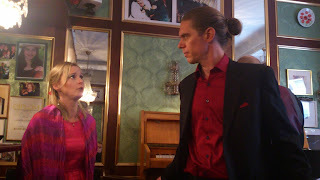 Karin performed sacred songs together with pianist Peter Svensson. 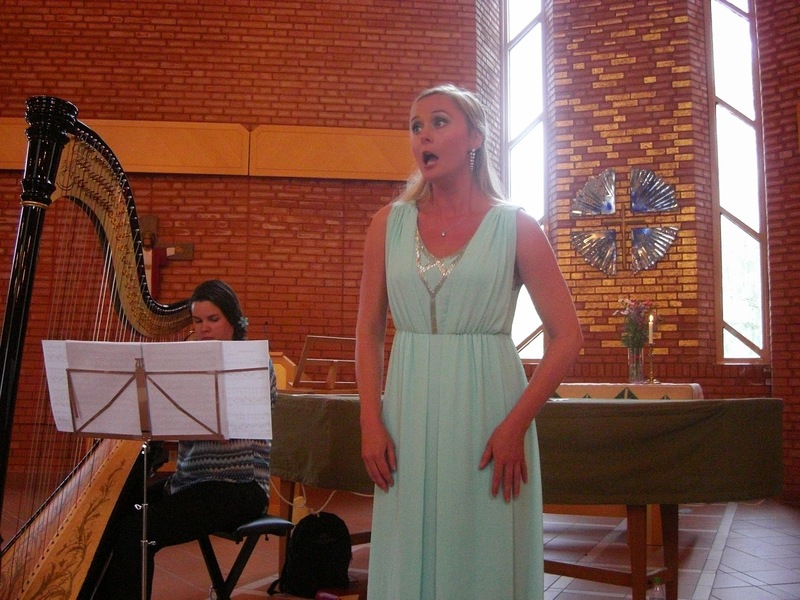 Karin performed as a soloist together with the harpist Miriam Klein Strandberg and "Lyrans Manskör", conducted by Bengt Alme. Karin performed as a soloist together with the chorus Bergakören, conducted by Gunnel Engström, and pianist Anders Juhlin. Karin performed Nordic songs as well as arias and duets by Mozart together with bass-baritone Eric Hellstrand and pianist Samuel Skönberg at Musiksalongen Gabriel & Hilda in Stockholm. Karin performed songs, opera arias and duets together with mezzo soprano Signe Jeppesen and pianist Julia Sigova. Summer concert together with pianist Peter Svensson. Summer concerts together with pianist Britta Lovén. Karin performed as a soloist together with Tomas Sahlberg, bassoon, Lena Sahlberg, violin, Ivan Garro, viola and Riitta Seppänen, piano.